Change Is Coming to Mars! Change in our community is similar to the changes we experience with the seasons each year! 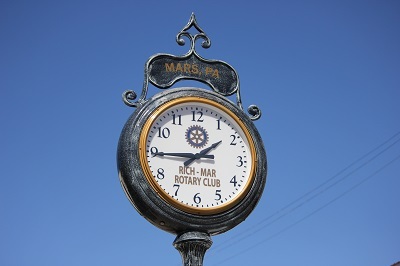 Mars has had a number of seasons in its nearly 150 years of being a town. It started out as a railroad stop called Overbrook. When a Post Office was established, and the town began to grow beyond just the railroad stop, a community formed with a unique name. The town included many different businesses, schools, a library, a train station, several churches, and a home for seniors. I could go on for pages about the many types of establishments that have come and gone in Mars, PA. There have been times of lots of activity and civic involvement, and other times of concern and struggle to keep the town thriving. Mars has always found a way through the people who live here to step into the future! We are on the cusp of another new season for Mars with two new businesses opening on the first half of 2018! Peachtree Bakery and Creamery, where the Sweet Shop use to be across from Curves and next to Macri Floral, on Grand Avenue. The reviews have been really good! Soon to open will be Stick City Brewing in the former Adams Fire District/Mars VFD building on Irvine Street. The brewery marks the first time for a brewery and tap room in the town as Mars has been “dry” from Prohibition in the late 1930’s. Having the town become “wet” will, most likely, extend the 9-to-5 downtown hours to businesses staying open later into the evening. The Borough (town) Council is making the needed and appropriate zoning and parking changes for the new growth happening now and in years to come. Please feel free to share and participate in helping to shape Mars to become a destination based on its name and in providing educational opportunities related to space travel and living someday on the planet Mars. 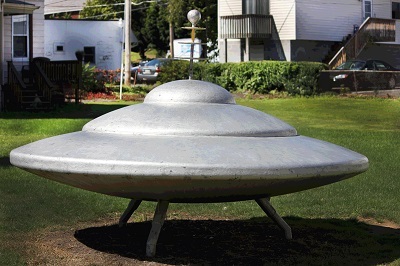 NASA has agreed to collaborate with us! 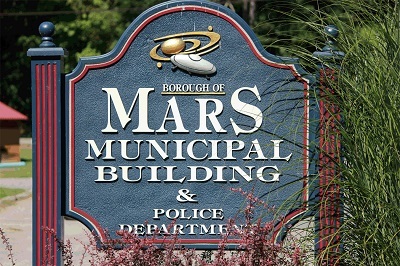 Next Mars Revitalization meeting will be Monday, April 30, 2018 @ 7:00 PM at Mars Public Library. Folks from businesses and residents are welcome to join in the planning and conversation! Always nice to see progress.